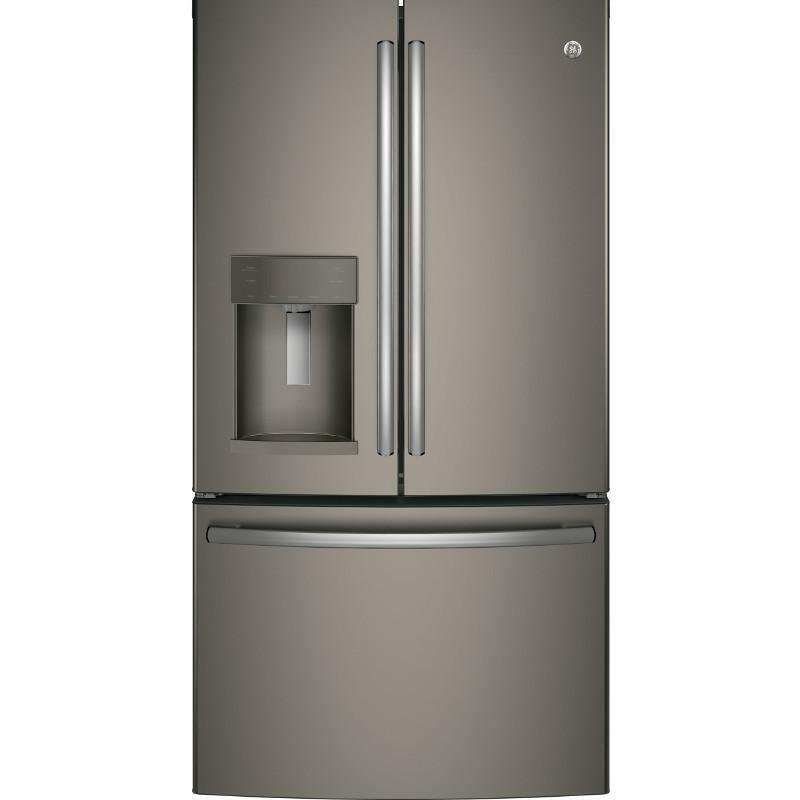 GE offers an energy star qualified counter-depth french 3-door refrigerator with a 22.2 cu. 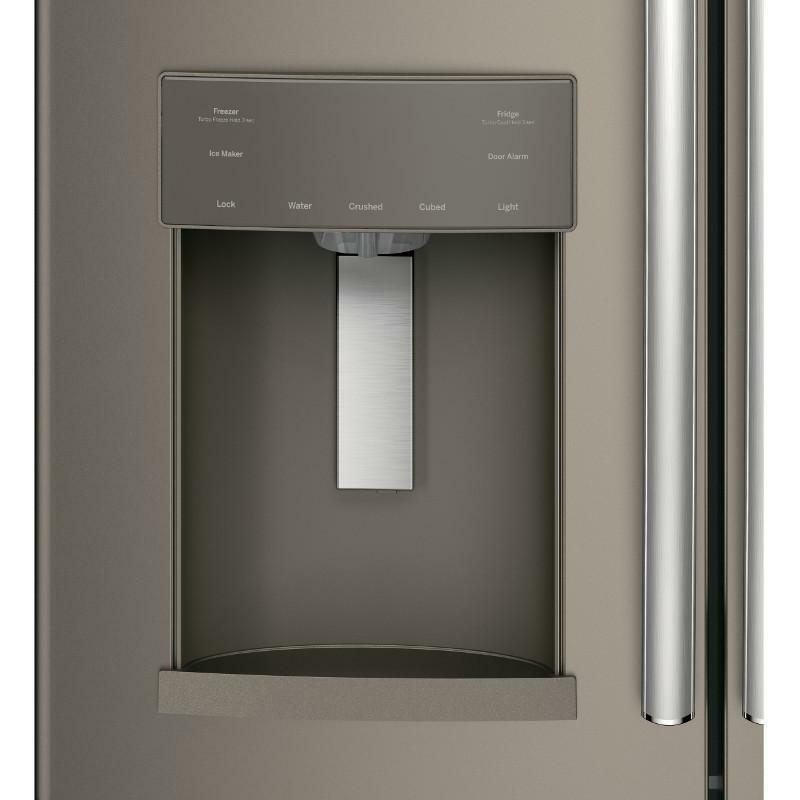 ft. capacity and an external ice and water dispenser. 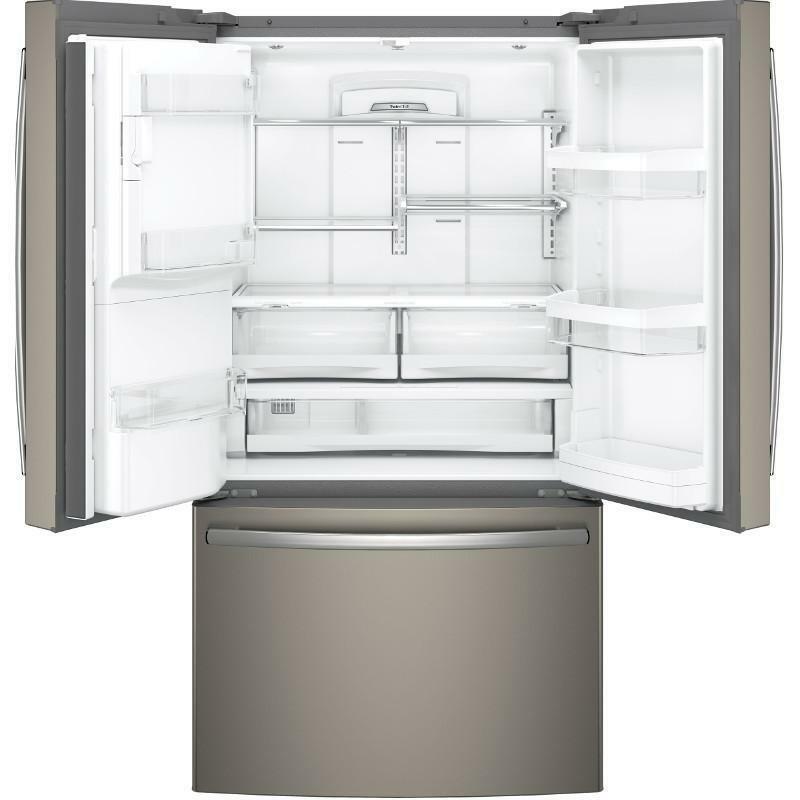 This ADA compliant appliance features TwinChill™ evaporators, Turbo Cool and Turbo Freeze settings for optimum food freshness. 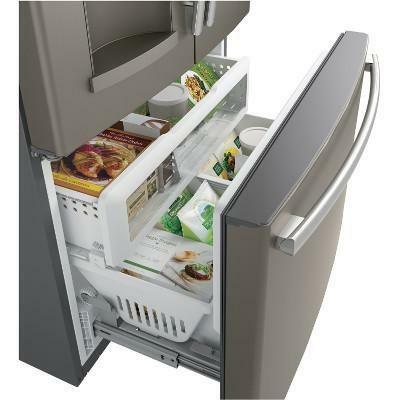 The refrigerator also provides two humidity-controlled drawers, 1 full-width drawer and electronic temperature control with colored LED lighting. 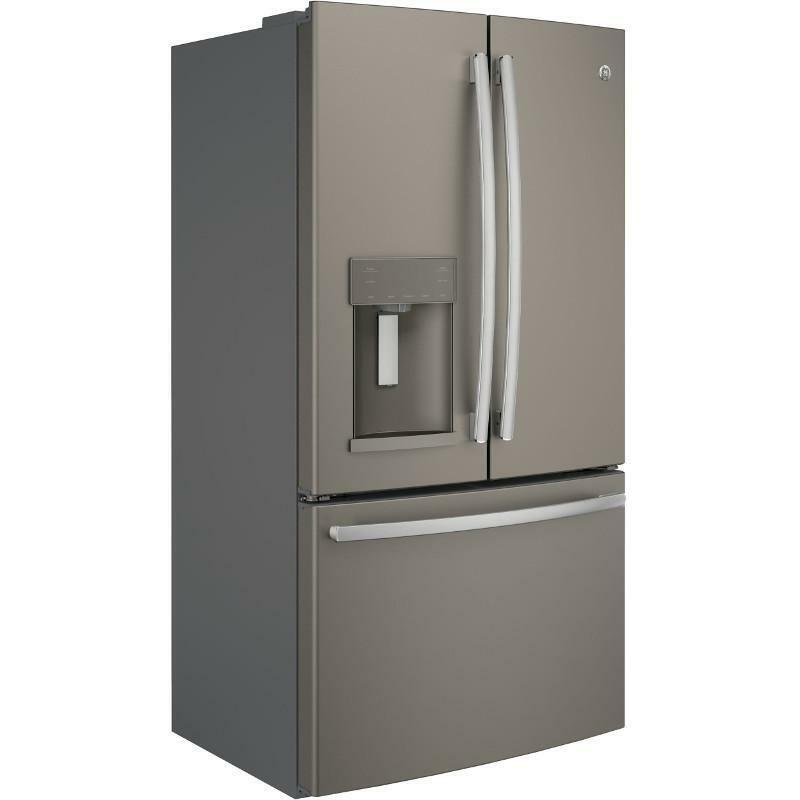 Refrigerator 15 cu. ft. / 0.42 cu. m.